Tech Blog: How to enable convert extension into Mercurial ? Advanced users of Mercurial can be aided with the use of Mercurial extensions. Extensions allow the integration of powerful new features directly into the Mercurial core. Built-in help on extensions is available with 'hg help extensions'. To get help about an enabled extension, run 'hg help <extension-name>'. The Convert extension converts repositories from other SCMs (or even Mercurial itself) into Mercurial repositories, with options for filtering and renaming. It can also be used to filter Mercurial repositories to get subsets of an existing one. Lets begin by downloading the latest revision of the repository. 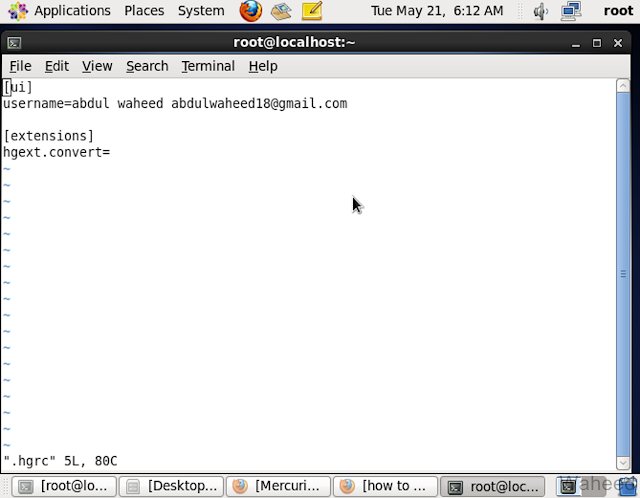 Mercurial will download it from the remote repository with the full history. 9 creating new repository for mxl Service layer. 1 Changed code according to review comments. 0 1.Added test cases for TenanatController Api's:1.CreateTenant 2.GetProtalInfo 3. GetApplications. We are done! If you cd to the newly created mxl_test directory, you will be entering a fully fledged, history-preserved Mercurial repository, consisting of the exact same files as the Subversion repository. [root@localhost mxl_test]# hg update # update to pull all repositories. [root@localhost mxl_test]# hg log # All log entry are preserved. summary: 1.Added test cases for TenanatController Api's:1.CreateTenant 2.GetProtalInfo 3. GetApplications. summary: Changed code according to review comments. summary: creating new repository for mxl Service layer.